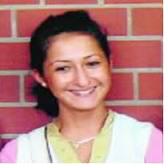 In September 2006, a German court found Ali Karabey, a German citizen of Turkish origin, guilty of shooting his 20-year-old sister, Gonul, to death in the western city of Wiesbaden in June 2005 in order to prevent her from marrying her German boyfriend. During his trial, it was revealed Karabey tracked down his sister to a garden shed belonging to her boyfriend’s family after she ran away from home. The court said his sister agreed to meet him after he assured her that he meant her no harm and told her boyfriend that he would help arrange their marriage. Ali fired at his sister Gonul repeatedly after persuading the boyfriend to leave them alone in the hut. The song you hear playing is a lullaby sung by Palestinian artist Amal Murkus. Memini is a program of AVA.